Hey, I’m on a green smoothie roll here. 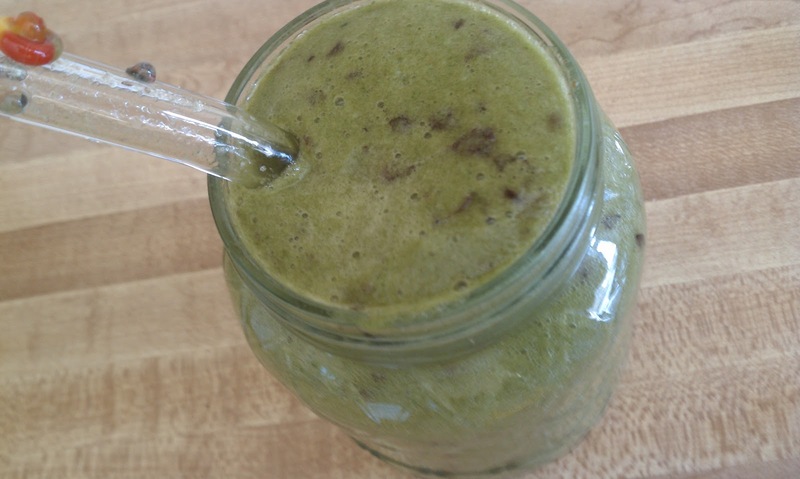 (Check out my previous post for yet another cantaloupe green smoothie.) I really have a hard time making something and not throwing greens in. They make me feel so wonderful that I feel I am doing myself a disservice by excluding them. Unless the meal is a salad, it’s always a delicate balance between making something taste good and eating enough greens to satisfy me. I was originally going to throw the grapes in the freezer. Have you ever had frozen grapes? It’s the world’s easiest popsicle. I know it’s almost the end of summer, but there are bound to be a few more hot and humid days in the forecast. Try it before it’s too late! This smoothie will separate somewhat as it sits. If you don’t drink it immediately, give it a stir before you drink up. My most pleasant surprise at first sip was how creamy the cantaloupe made the smoothie. I love thicker smoothies. There are exceptions, of course, but it always feels more substantial that way. This was unexpectedly luscious. The blender I’m using right now isn’t the best, hence the specks, but you work with what you have, right? On the bright side, those deep purple specks are very pretty! It also provided for me a friendly reminder to chew. Even though it may seem odd to chew a smoothie, the act of chewing is vital for optimal digestion. 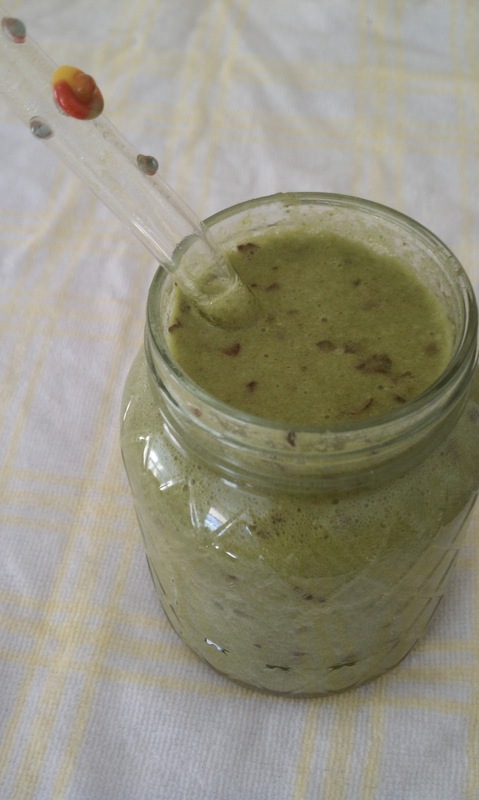 Blending breaks down the cell walls, but chewing will mix food with saliva, which contains important enzymes for the digestive process, and send signals through the nerves to prep the body for the next steps of digestion. I love putting fresh herbs and spices in my smoothies, but I had feeling that this one didn’t need to be dressed up. I’m sure adding in some vanilla, a dash of cinnamon, or a few leaves of mint would be wonderful, but I couldn’t mess with this effortless pleasure.